It will mark the Bears' fourth consecutive game against an AFC East opponent. Chicago dropped the first two legs, falling in overtime at Miami (31-28) before losing at home to New England (38-31). 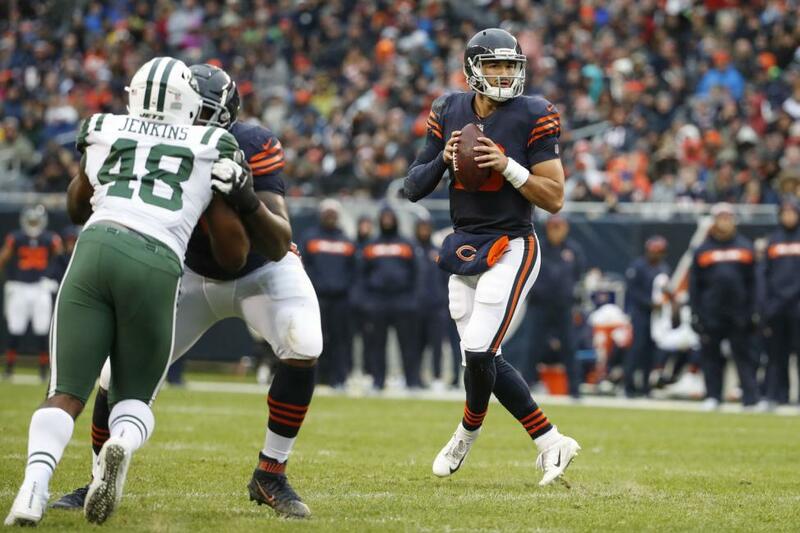 The Bears got back on the winning track against the injury-ravaged New York Jets with a 24-10 victory last week and hope to exploit division doormat Buffalo to maintain their hold on first place in the NFC North. The Bills are in a freefall -- they have lost three straight, are enduring major issues at quarterback and feature the lowest-scoring team in football with a meager average of 10.9 points per game. It shapes up as a classic letdown game for Chicago, but head coach Matt Nagy is intent on not letting that happen. All Nagy needs as a sobering reminder to his team is to point to Buffalo's Week 3 matchup at Minnesota, when the Bills rolled to a 27-6 victory on the road. "Anybody that looked at an 0-2 Bills team going into that Vikings game thought the same thing and look what happened," said Nagy. "We don't think that way so I'm not going to let our players think that way. In that (Minnesota) game, I thought that Buffalo did a good job coming into it just with an attack mode. They came to play football. I just know from playing this team over the years that that's how they do it. "When you play them, especially at home, when you play them in their place, it's very rowdy, it's very loud, they're on top of you, they love their football." While Buffalo has been feeble on offense, the defense has stood tall, particularly in light of the struggles on the other side of the ball. The Bills have the league's sixth-ranked defense -- one slot ahead of the Bears -- and held the high-powered Patriots to four field goals through three quarters of Monday night's 25-6 setback. "They pressure the quarterback," Nagy said. "They make you make poor decisions. They're opportunistic. The easiest way I can put it is, there's a little bit of controlled chaos to them. They fly around and it's chaotic and it can try to make you scramble." Buffalo will need another big effort from the defense again. Third-string quarterback Derek Anderson is in the concussion protocol, so the Bills may have to turn back to Nathan Peterman, who was benched in the season opener and had an ugly relief appearance when rookie Josh Allen was hurt in Week 6. "We're going to support Nathan if, in fact, he is called upon to play," Bills head coach Sean McDermott said. "We're going to support him with everything we've got and we expect him to go out and execute, and execute at a high level." Anderson is unlikely to be available for Sunday, prompting Buffalo to sign journeyman Matt Barkley on Wednesday. Buffalo also made a move to beef up its offense by signing wide receiver Terrelle Pryor, who was released by the Jets on Oct. 20. Pryor was a 1,000-yard receiver with Cleveland in 2016. "When you turn the tape on, you notice the size, the length, and the speed and just the overall athleticism, whether he was playing in Washington or before here with the Jets," said McDermott. "What he does this weekend remains to be seen." Buffalo does have talent in the backfield with the running back tandem of LeSean McCoy and Chris Ivory, but they will be going up against a Chicago defense that has allowed fewer than 75 yards rushing to five of its seven opponents. The Bears, who may be without linebacker Khalil Mack again, are the only NFL team not to give up a rushing touchdown. The Bills attempted to use the Wildcat formation against the Patriots, with McCoy taking direct snaps. Nagy is expecting something similar on Sunday. "LeSean's done that before," Nagy said. "It looked like that was something that they were cooking up to do for that game. I don't know if that's something that they're going to get ready for this game." Chicago got running back Jordan Howard untracked with 22 carries for 81 yards and a touchdown last week. Tarik Cohen added 40 yards on five carries and had a 70-yard touchdown reception from quarterback Mitchell Trubisky.